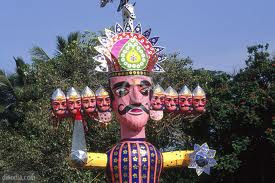 Ravan Dahan is Coming on 11th october 2016 Evening.Ravan Dahan is Known as a Vijaya Dasmi, Dussehra. 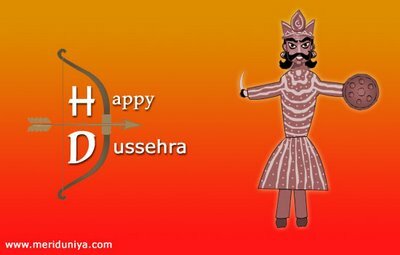 The festival of Ravan Dahan(Dussehra), also known as Vijayadashmi, is one of the fascinating festivals of India and is celebrated with joy and enthusiasm. 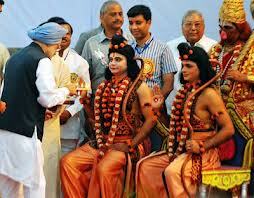 According to the great Hindu scripture, the Ramayana, Lord Rama performed chandi-puja (holy prayer). 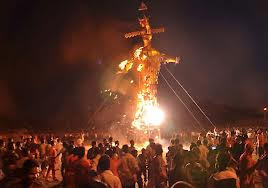 This was carried out in order to invoke the blessings of Durga Maa for the killing of Ravana, the ten-headed demon king of Sri Lanka who had abducted Seeta, wife of Lord Rama. Durga Maa divulged the secret to Rama on how he could slay the great Ravana. 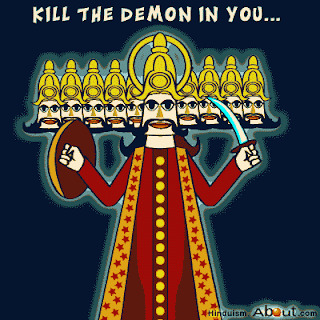 Hence upon vanquishing the demon Ravana, Lord Rama with Sita and younger brother Laxmana, returned victorious to his kingdom of Ayodhya on the day which is called 'Diwali'. 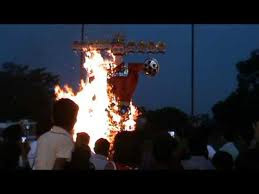 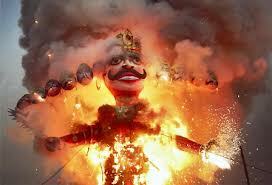 Revelers across northern India re-enact the legend at sundown in a performance called the Ramlila, featuring actors dressed as Rama shooting flaming arrows at effigies stuffed with firecrackers. 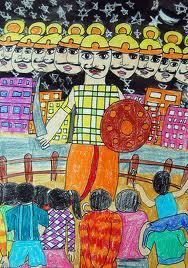 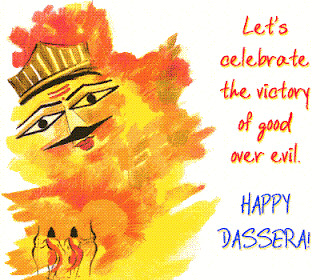 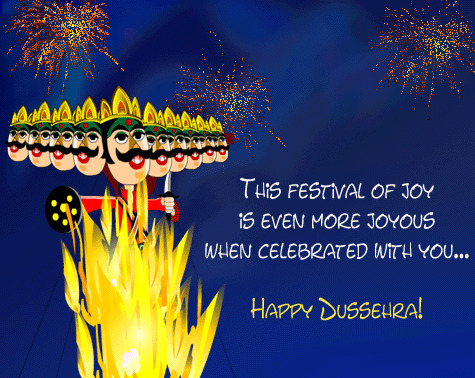 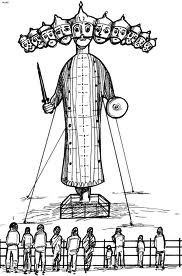 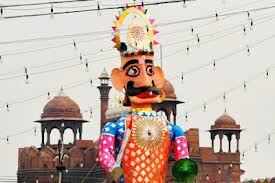 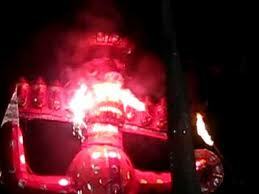 Dussehra day is considered a most auspicious day. It is a time-honored belief that if any new venture is started on this day, it is bound to be successful. 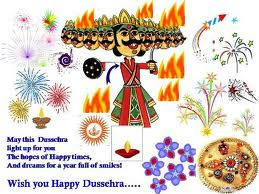 Hence, all the undertakings be it laying-in of foundation of a new building, opening of a new commercial establishment or even initiating a child into the world of learning- are started on this day. 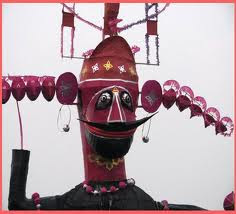 Also on this day implements of agriculture, manufacturer's machines, the intellectuals pens, the household articles, the children's school books are placed before the idol of Durga and worshiped. 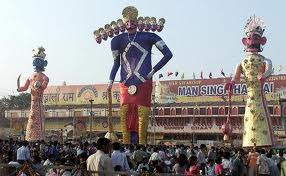 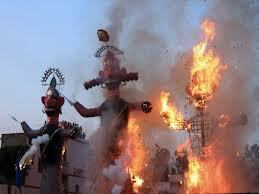 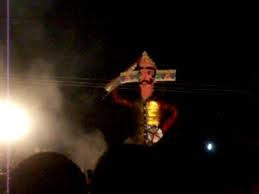 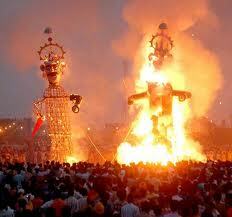 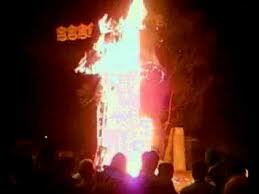 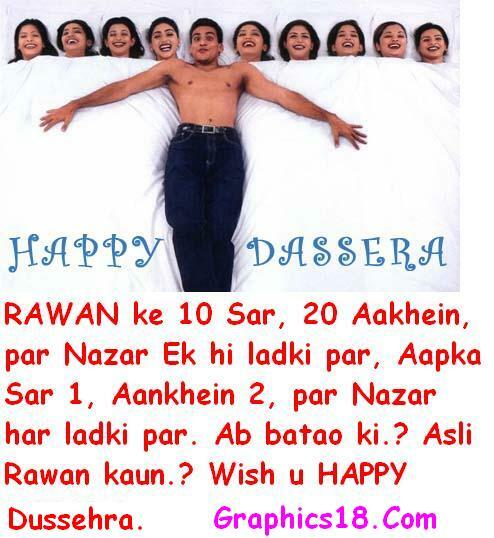 Ravan Dahan is considered auspicious day itself. 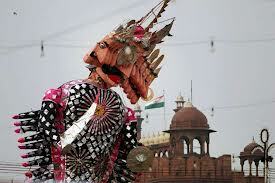 That is why this day people innovative textiles, jewelery, weapons, vehicles and flag worship. 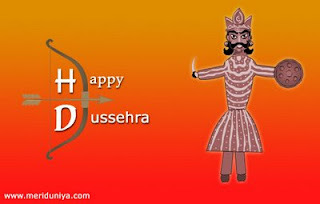 The day of the purchase of new material importance.On the auspicious day of Dussehra also for the auspicious moment when life is Atishub for task accomplishment and success.Similarly, Ravana is looked auspicious for combustion. 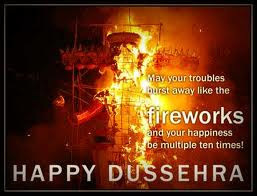 Times religion and astrology expert team especially auspicious for Dharmaluon presented. 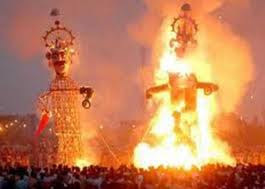 The auspicious Pooja is not only innovative but also the material objects can also be worshiped on this day Jahia suite. 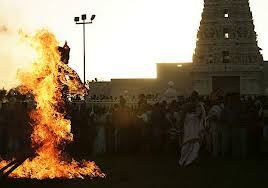 Altar to worship at home: 12.00 to 10.30 hours, from 7.30 to 9.00. 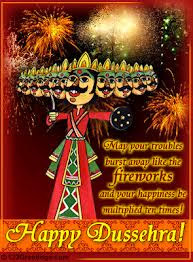 Abhijit Muhurtha: morning from 6:00 to 09:00, 12:15 to 11:48 pm, 4.30 pm to 6.00 Bella in Twilight. 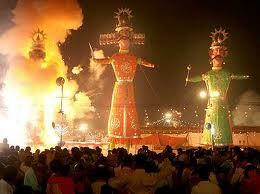 ones on the occasion of dussehra this year!